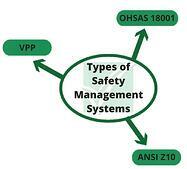 ANSI/AIHA Z10 vs. OHSAS 18001 vs. VPP: Does it really matter? This is a question that we field on a pretty regular basis from organizations that are considering establishing a safety management system, and quite frankly, it’s a good one. There are relative pro’s and con’s with each system, but at the end of the day a systematic framework is better than nothing. Safety management systems have been around for a number of years, and they come in several different variations. Management systems in general are what they sound like: a framework for systematically managing an aspect of an organization. There are well known frameworks for managing quality (ISO 9001), the environment (ISO 14001), and health and safety (OHSAS 18001, ANSI Z10, and VPP). While the Z10 and 18001 include frameworks for addressing and the systematic reduction of risk associated with health and safety, VPP does not. The SMS is a framework to ensure that health and safety risks are continually reduced (improved) over a longer term, generating a higher return on investment for implementing the system. The use of injury and illness rates shouldn’t be the primary consideration when it comes to continuous improvement. The management and systematic reduction of risk should take precedence when considering frameworks, otherwise the system ends up becoming a very expensive compliance platform. As many safety leaders can attest, one of the more frustrating aspects of field (and management) work is when versions of procedures are not current, or when a program is being looked at by auditors and there are no recent (or adequate) records available. In today’s safety climate, safety leaders are often asked to prove a negative (e.g. an event that didn’t happen, or a person that didn’t have a recordable injury) nearly as often as providing records for the incidents that did happen. A robust document and record control system ensure that organizations have the ability to retrieve the necessary information to substantiate the claim(s) of the organization. If the organization says it does (or doesn’t do) something, it needs to be able to prove it through records and documentation. Once again this aspect is limited to Z10 and 18001, and with rapidly changing political climates and regulatory frameworks, it seems important to include it in all management systems. A number of health and safety audits on programs I’ve done over the last year proudly claim “compliance with legal and other requirements,” yet there is very little in the way of documentation to substantiate it. If your organization claims compliance with applicable health and safety legislation (for either of these two frameworks), then safety leaders will need to ensure that the legislation and regulations are known, and are reviewed (or have an accountability framework for being updated). This way, the organization starts in compliance, and stays there. Download our free comparison matrix to learn more about these and other safety management systems. SafetyPro Resources, LLC is an independent safety consulting firm and is in no way endorsed, sponsored, approved by, or otherwise affiliated with ISNetworld®. *ISN®, ISNetworld®, RAVS®, T-RAVS™ and MSQ™ are trademarks or registered trademarks of ISN Software Corporation.